When we talk about photos, how can we not think about Instagram? Instagram has quickly become one of the biggest social networks. Today, it has more than a billion monthly active users. With millions of photos being posted to the platform on a daily basis, you need to take quality images to stand out. Whether you want to get more exposure, more followers, or even become an Instagram influencer, you need high-quality photos. There are two main aspects of photography. Taking a good photo only wins you half the battle. Post-processing is a completely different ball game altogether. A healthy combination of both of these can give your photos the desired finish you want. There are many parameters you need to take care of before you capture an image. You also need to pay a lot of attention to editing the image. Post your photos only after you’ve done these to ensure that they stand out among the millions posted on Instagram every day. 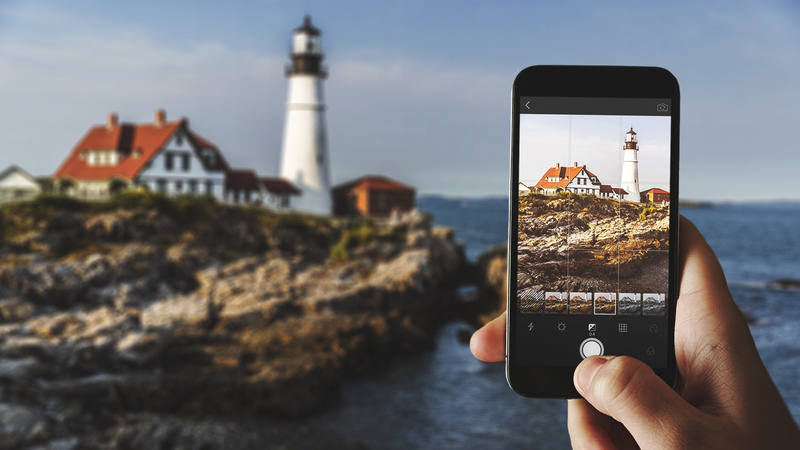 Here are some ways you can take striking photos that can go viral on Instagram. Lighting is the most important aspect of photography that you need to consider when taking a photo. It is the one thing that can make your photo really stand out. Photos which are dimly lit, dark or even grainy can look bad on Instagram. A photo that is taken in bright natural light always looks attractive to the eye. These photos usually are easier to edit as well. A well-lit photo can help you get noticed on Instagram and get you more likes and followers. To do this, you should try to take photos on bright days. You should also adjust your camera’s brightness. If you’re taking photos on a sunny day, try to underexpose your photo. This is because the sky might appear way too bright under normal exposure. You can always increase the brightness during post-processing without overexposing the sky. On the contrary, a photo which is overexposed cannot be recovered easily. The sky will appear white, no matter what you do. Rarely will you be able to get back the bluish tinge in your sky. If you use a DSLR camera, you should try to take photos in the RAW format. In this format, your photo captures all the light sources and gives you greater flexibility to edit the image. Yet another option for sorting out the lighting is to click in HDR. HDR stands for High Dynamic Range. With it, you get a mixture of underexposed, normally-exposure, and overexposed images. When they’re merged, your sky will look perfect. Most mobile phones today have an inbuilt HDR option where you can simply select it and take the photo. However, the overuse of HDR can make your photos appear unnatural, so make sure you limit its usage. A great idea for a background is an overcast sky. At this time, the lights will have a natural tinge of grey. This makes it a perfect time to take good photos as the light will spread out evenly in your photos. If you want to take a photo of a subject that is nearby, this is a great time to do so. On a sunny day, it’s more difficult because the background is usually too bright. Apart from the lighting, the composition of a photo is an important aspect of photography too. A well-composed photo has all of the key elements highlighted well in the image. Every subject can be captured from different angles and be portrayed differently in your photos. This is why the composition is extremely important. A well-composed image is more memorable to viewers. The most important rule to follow to take a well-composed image is the “Rule of Thirds.” You divide your photo into a grid of 9 equal-sized squares. Imagine 2 parallel lines across your frame, horizontally and vertically, at equal distances. These days, almost every smartphone has this feature. All you need to do is enable it in your camera settings. According to this rule, you should put your most important elements along the lines or at the intersections. When you do this, it creates more tension in the image than if the subject is in the center. Tension makes the photo more interesting and engaging. In the below image, you can see the bird lined up on the lines very close to the intersection point. Post-processing is an important part of photography that makes your image even more attractive. With post-processing, you can improve aspects of your image that may not be perfect in the original shot. You could change lighting, highlights, shadows, contrast, and more. For example, if you take an underexposed image, post-processing gives you the chance to selectively increase the exposure of different regions. Since well-edited images have more of an impact on Instagram, post-processing gives you the power to change the look of your photos and make them stand out. However, you should make sure that you don’t go overboard with post-processing. Heavily edited images are often frowned upon by fellow Instagrammers because they don’t look real. You should maintain a healthy balance while editing the image. To edit your photo, the easiest option is to use Instagram because the photo editor is built into the app. Here you can apply filters, change parameters of the photo manually, and edit the brightness, contrast, warmth, saturation, and more. This can help you enhance your images to a certain extent. Mendr gives you the power to make changes, drastic or subtle, to your image, even if you’re not a professional photo-editing expert. It comes in handy, especially for more complex edits that require more advanced Photoshop skills–like a hair color change, tattoo removal, background swap, or even object removal. All you have to do is upload your photo and select the changes you want made. Once your photo is uploaded, it is sent to Mendr’s (real human) editors, who get to work immediately to make all the edits for you. As soon as your photo is ready, you’ll get a notification to review the photo and download it, and you can even post directly to Instagram from the Mendr app. VSCO Cam is a powerful photo editing tool that allows you to edit your photos like a pro. It offers a wide variety of filters which you can apply to your photos. You also have a comprehensive set of adjustments you can make to your photos. You can change all of the standard parameters like temperature, contrast, highlights, shadows, and more. It also offers advanced features like the ability to change shadows and highlights. This feature helps you to prevent your photos from becoming too dark or too light. Adobe Photoshop Lightroom CC is a great tool for editing photos on a computer. However, they also have a mobile app, which allows you to edit photos just like the computer software. You can easily control various parameters of your photos like highlights, shadows, brightness, and more. With its easy-to-use interface, you can edit your photos like a pro before uploading it to Instagram. Posting high-quality images on Instagram is necessary if you want to grow your reach. Follow the tips mentioned above to take amazing photos and rock your Instagram profile. What other strategies do you use to make your photos look amazing for Instagram? Let us know in the comments below. You may also want to read: Visual Marketing: Either You’re In or Your Brand Is Out!